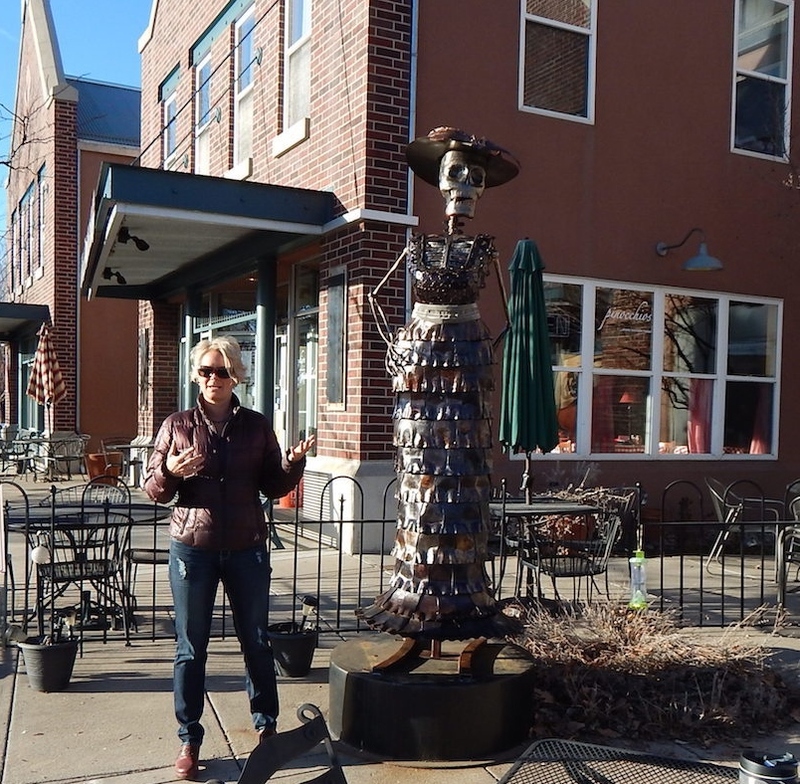 I started making 8ft tall Steel Catrina Ladies in 2013 because of the story behind them, you can Goggle Jose Guadalupe Posada to learn more. But the main “jist” of the story/message is that you can be wealthy and wear the finest clothes with top of the line accessories, but you can still be “dead” inside and have no soul if you aren’t careful of what you truly value in life……it’s what’s on the inside and offered in a positive way to benefit the world you share with others. 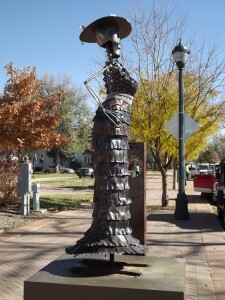 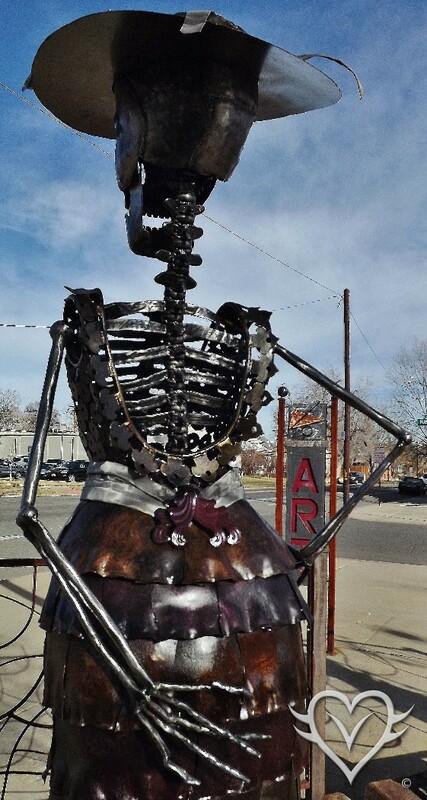 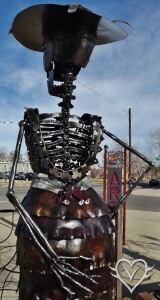 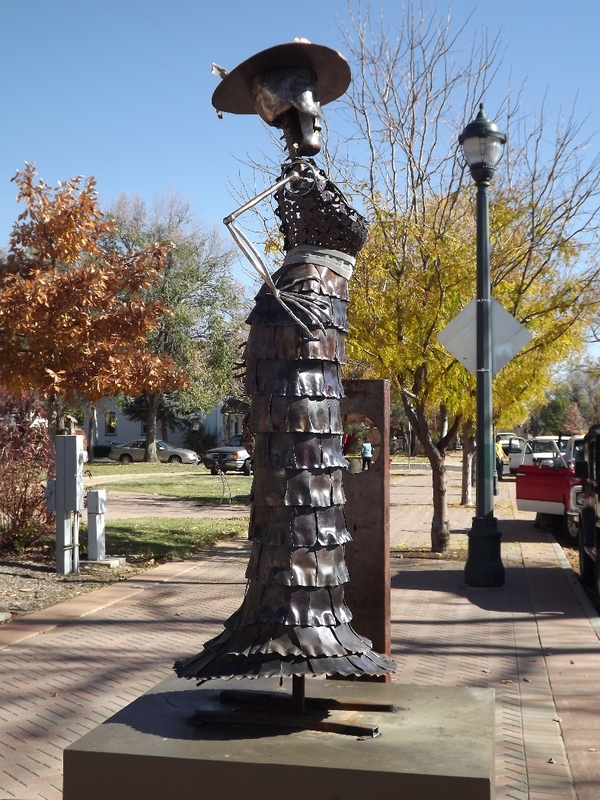 The City of Lafayette recently earned a public art grant and the board of directors unanimously voted to purchase this particular Lady Catrina to be a permanent piece in their incredible Public Art Sculpture Program. 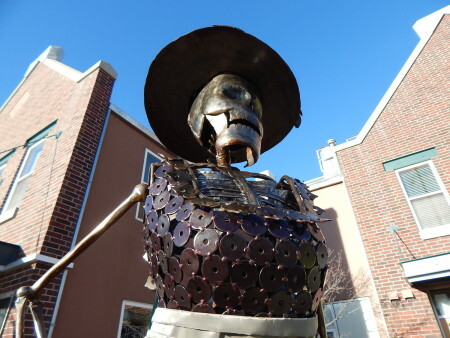 A big Thank You to Susan Booker and her team in the Arts Dept., I am very honored…..